friendly selection of the documents to print. 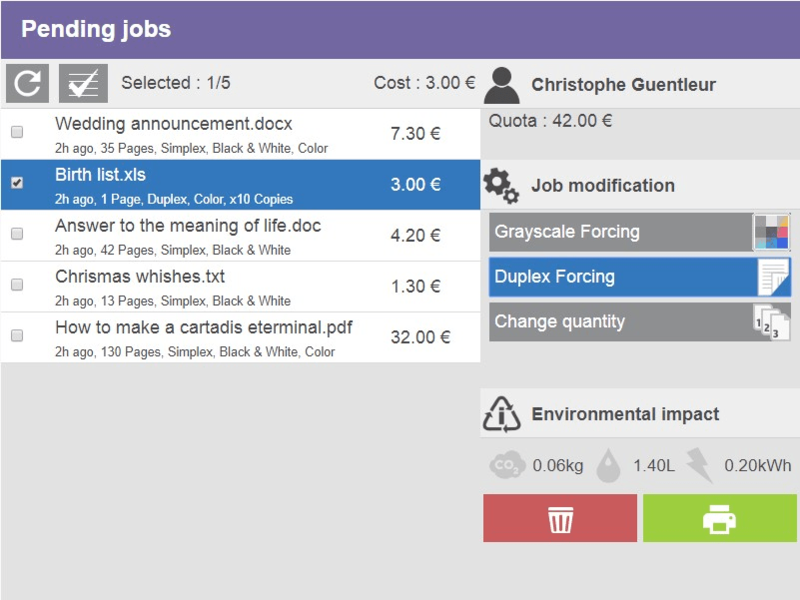 Modification of the job properties (print forcing in B&W, in Duplex or change of the number of copies). Scan to me by email or to a home directory. 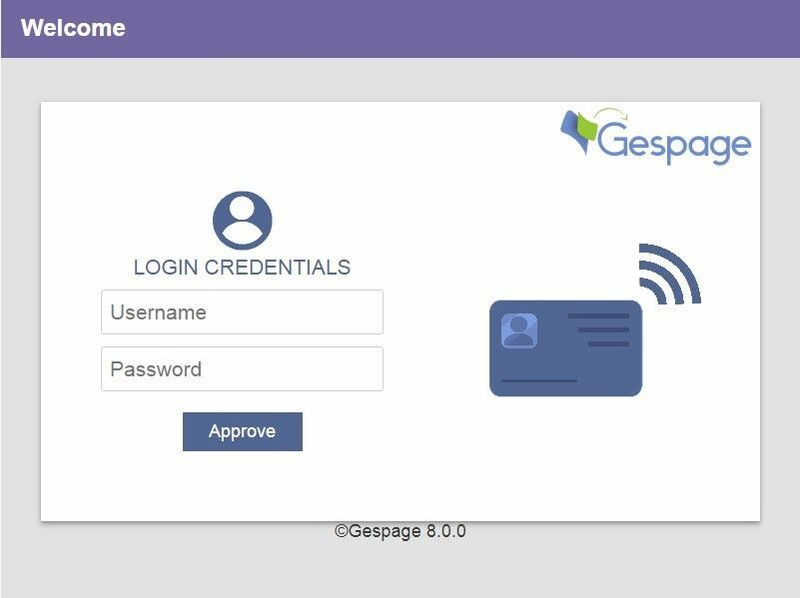 Payment and accounting of prints (including USB), copies and scans on Gespage server. Access rights to copy, print (B&W, color) and scan functions.